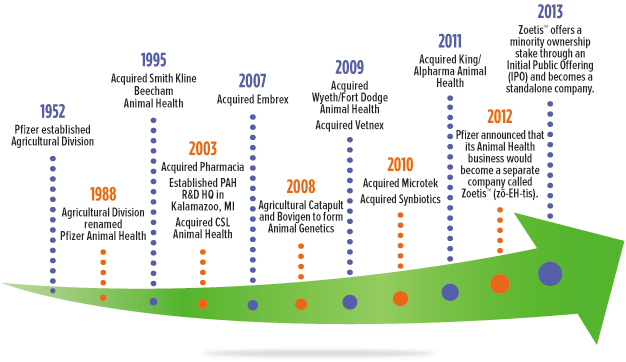 Becoming Zoetis is only the latest milestone in our long history of innovating to provide real-world solutions that matter to our customers. Veterinary surgeons and livestock producers alike have known and trusted our brands and people as Pfizer Animal Health for more than 60 years. Please take a moment to explore our timeline to learn more about our role in helping veterinary surgeons and farmers raise and care for animals over the years.